My old truck Jack has been making his appearance around town lately after hiding out for a couple of years. 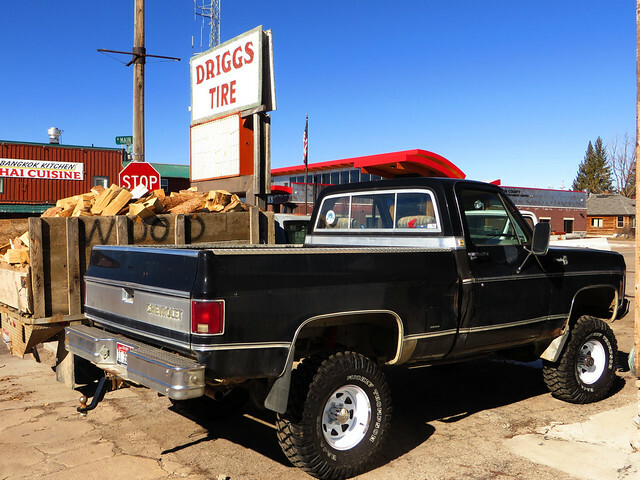 Driggs Tire just put some new quality snow tires on and he’s also getting some mechanical work done. I get sellers remorse everytime I see this truck but it was for the best I suppose. After getting the Mazda as my economical travel truck there was nowhere to park this big old boy and he would have spent the winters out back, in the snow. And, at the time I sold him, gas was sky high and ten miles to the gallon wasn’t cutting it. It’s great to see him getting fixed up and his legacy continuing on! Jack is looking good. You showed Dillan and me some really cool places in him. He climbed those hills real good.